Determining where to spend your marketing budget can be tough! All the blogs you read on the subject contradict one another - money should be spent on blogs, video!, more and more video, infographics, designed icons, etc. The list goes on and on. Ultimately, your business' goals and overall content aspirations should dictate the basket in which you throw your marketing dollars. Client testimonials stand the test of time - they are, and will always be a relevant form of content for every business. Client testimonials have been popular for ages, and they're truly one of the most effective marketing tools available. Potential customers like to hear from peers about why a product or service is superior, rather than being sold to by your company. And the perfect solution to that conundrum - selling your company, by someone rather than you - is client testimonials! 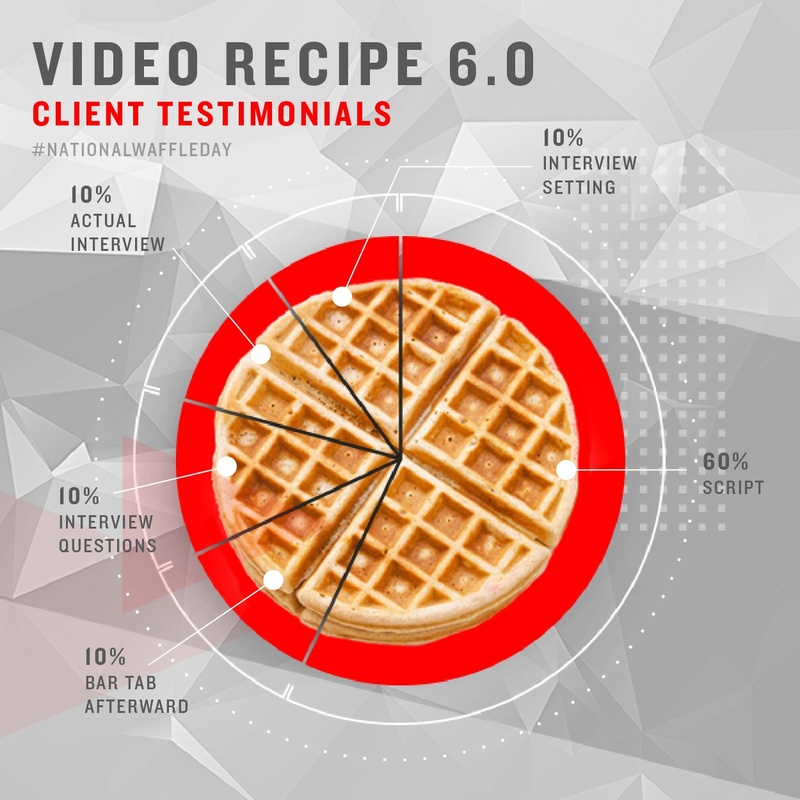 But, what is the recipe for a successful client testimonial? This year, we're taking the opportunity with some of these silly National Days to share some of our favorite recipes for successful videos! And this month, we're celebrating National Waffle Day. Here is our recipe for great training videos for your business. Check out the full-size graphic, here.